Service on the southbound Amtrak Vermonter resumed Friday morning through Vermont, four days after a passenger train derailment that injured seven people and saw rail passengers taking buses to Massachusetts or Connecticut to catch trains further down the line. "That's a relief, yes," said Jenny Lunn, a visitor to Vermont from England who was glad rail travel was returning to normal. "I prefer the train for looking at scenery rather than traveling by road or coach. I like to go through the heart of the countryside." Monday morning, the Vermonter's cars were violently thrown off course when the locomotive slammed into boulders that fell from a crumbling rock ledge and onto the rail bed in Northfield. Gov. Peter Shumlin, D-Vermont, described the rock fall as a freak act of nature. 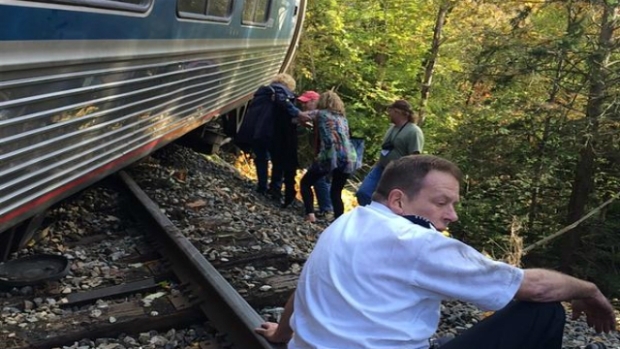 Seven people on board were hurt when the train struck the rocks; none gravely. "That's definitely good," said Cody Mannigan, a Champlain College student traveling to New Jersey for the weekend. "I'm thankful that no one got seriously hurt." 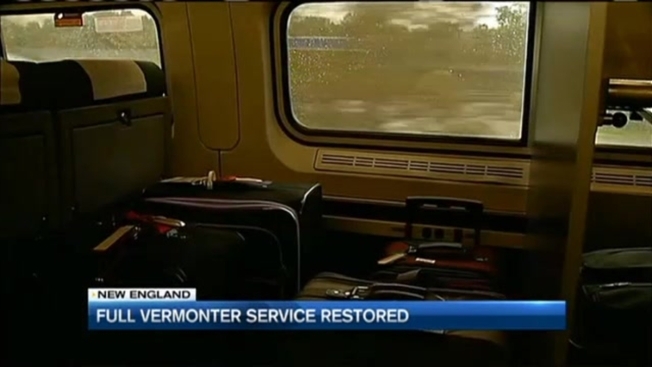 A news crew from necn purchased a ticket on the southbound Vermonter Friday to see what travel was like through the Northfield stretch of track. Approaching the trouble spot, where those huge chunks of stone fell, the engineer slowed to 10 miles per hour. The rail bed showed obvious signs of repair. An necn camera captured video of a train's wheelset near the site of the collision with the boulders. Video also showed small trees that had been knocked down when the cars careened off course, pieces of rock that have been moved aside, and shots down a steep embankment where the locomotive was visible, still on its side. The railroad is working on how to get it out of there, transportation officials have said. Five passenger cars have already been removed, and were sitting Friday near the train station in Montpelier. The rear three cars did not show many outward signs of damage, but the two in front appeared badly banged up. Mangled metal, busted windows, dents and scrapes, and all sorts of damage to the undersides of the cars still appear to be a big mess to deal with. But for now, Gov. Shumlin has said he is glad the Vermonter is back "in advance of what should a great weekend to see Vermont's world famous foliage."